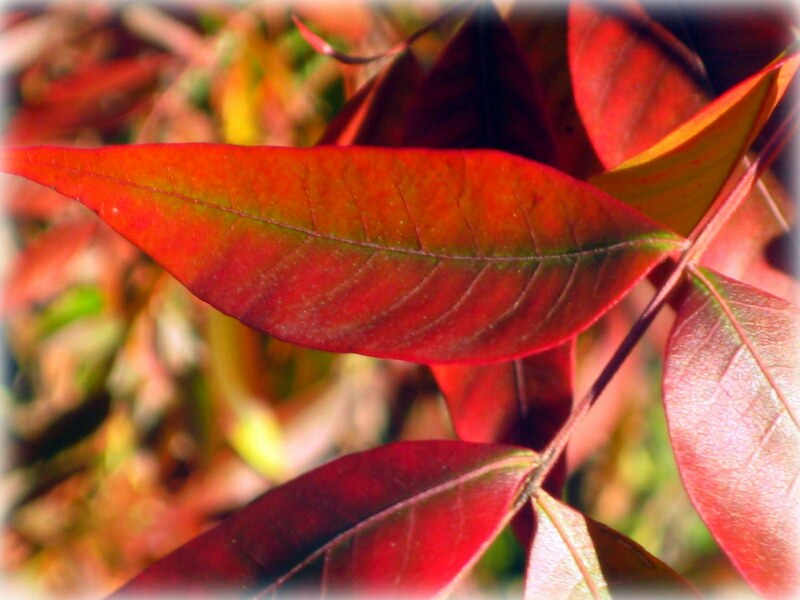 The bright leaves are so beautiful and brilliant in color. I am loving fall-time. Have fun in SF tomorrow. Where do you go for Dim Sums? Yummy. Hugs to you, From Dogwood to Auntie Stacy!!!! A lazy day sounds good to me! 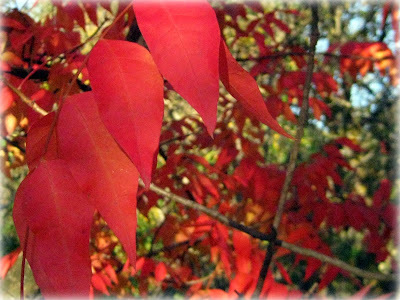 The leaves are very pretty, reds are my favorite! Have fun in San Fran tomorrow!!! I'd love to visit there some day! NICE new banner! Love it! Pretty leave photos too. It's snowing here...8 inches of white, pretty snow! Have a nice Sunday with your sister and family! I'm still thinking about the amazing things I saw at the Bachman house! Very pretty Ms. Golden Bird! Hope you're having a wonderful weekend! Sounds like you have a fun day ahead! I am loving the brilliant Fall colors here! The leaves are really beautiful! Have a blessed day my friend! HUGS! I like the poem. And I like the new blog look too. Lovely poem and your pictures are amazing...so bright, they vibrate!